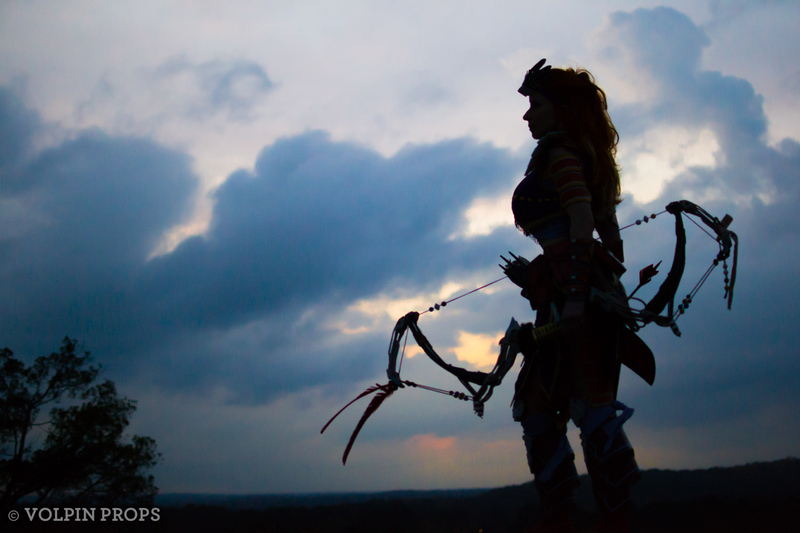 The art direction in Horizon: Zero Dawn is as captivating as the gameplay, and we set out to recreate Aloy’s Carja Blazon Heavy armor set along with the Shadow Sharpshot bow as a set of personal projects in 2017. 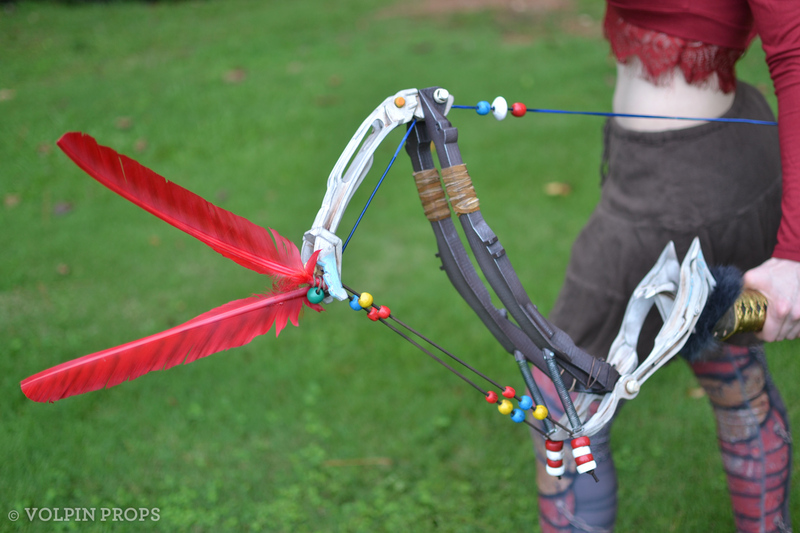 The bow itself is comprised of twelve cast urethane components with dozens of beads, leather, elastic and feathers to recreate the complex and intricate design. 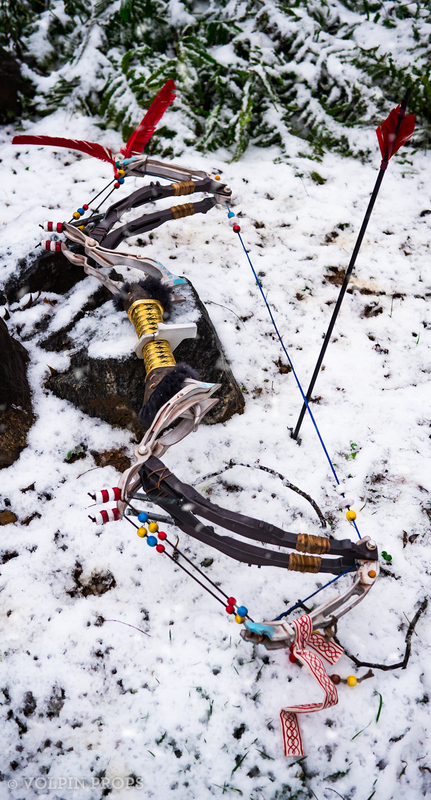 Each bow limb segment contains a steel core for strength, while the upper and lower bow sections articulate on spring-loaded hinges as they do in-game. 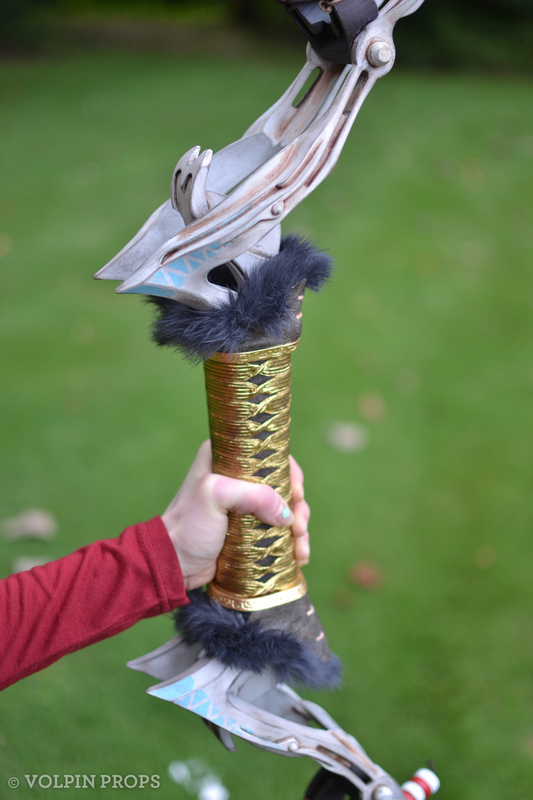 The entire piece is nearly 5′ tall yet only weighs 4lbs! 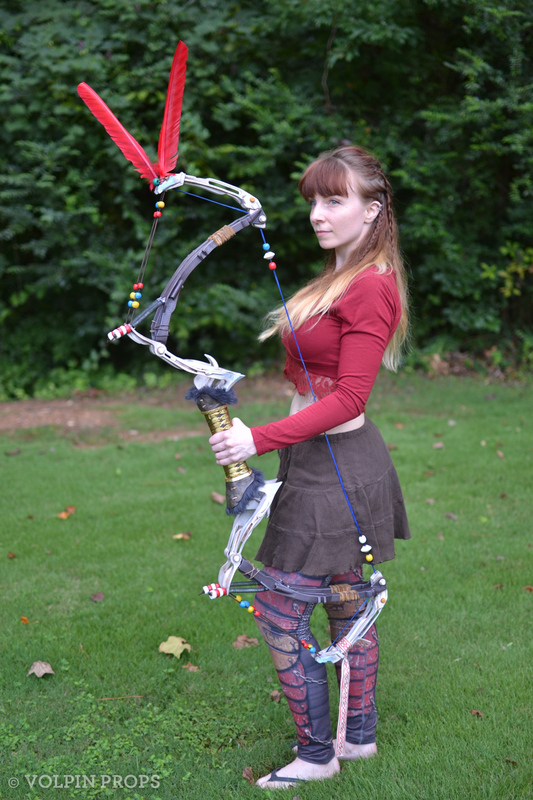 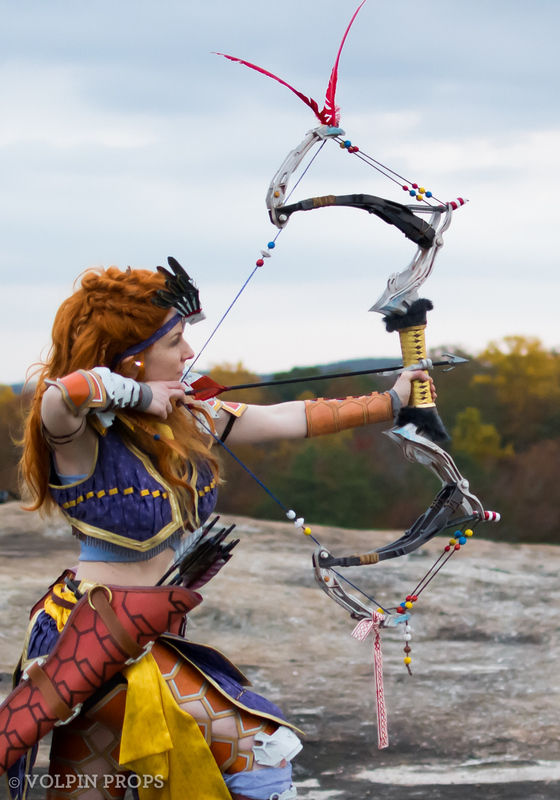 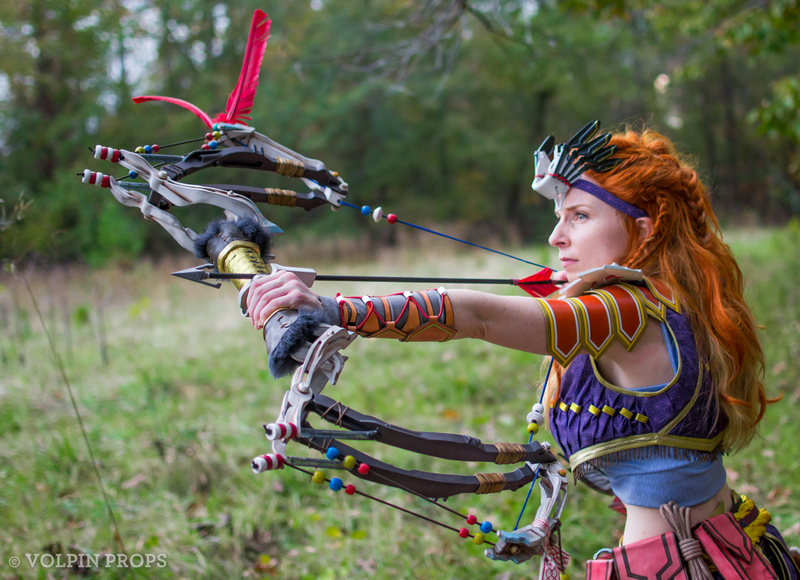 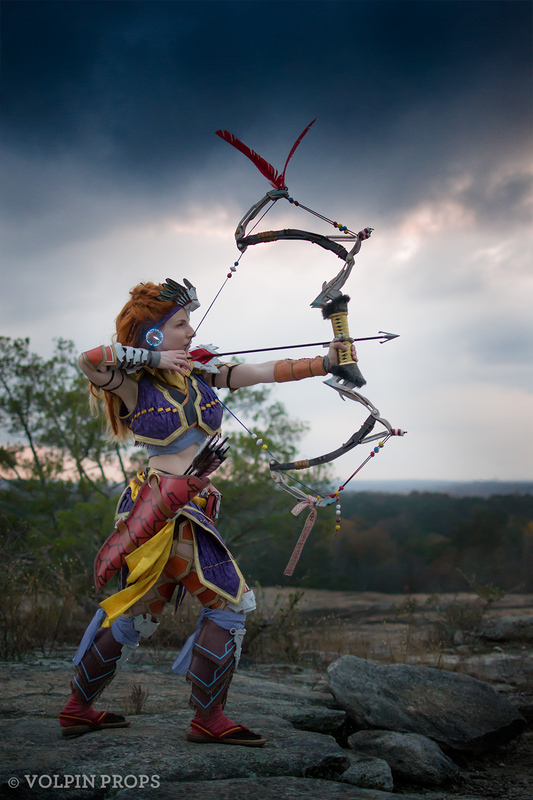 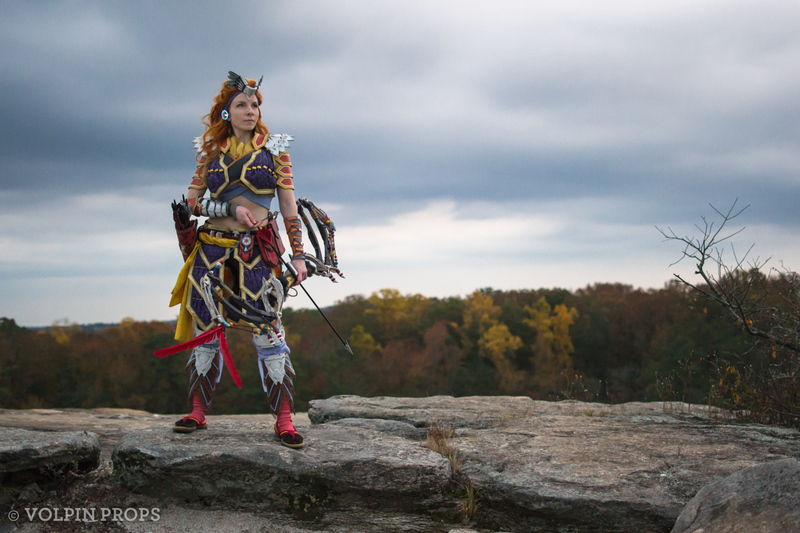 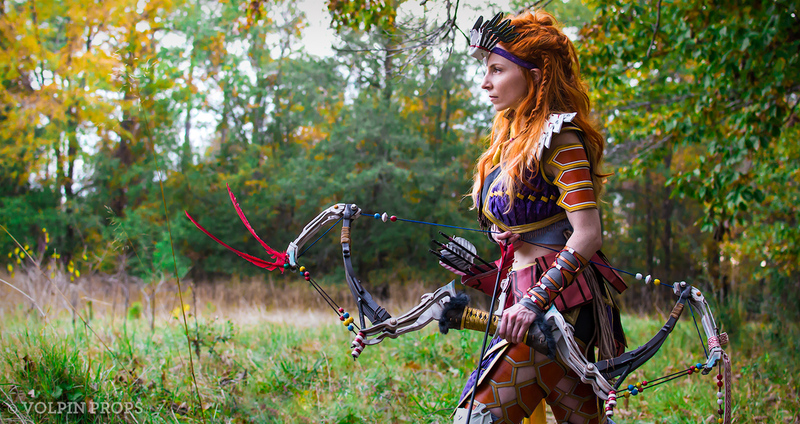 This bow was designed entirely in Fusion 360 based on game screenshots and output on Ultimaker 2+ 3D printers before molding and casting. 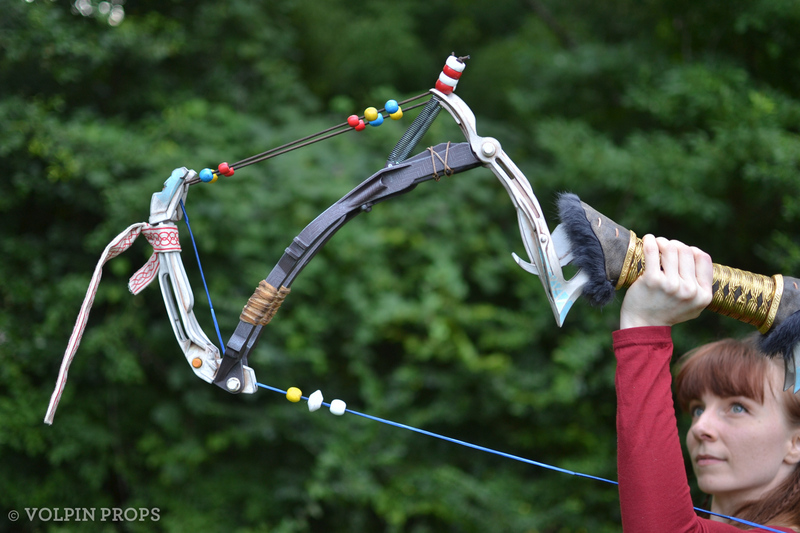 A matched set of Precision Arrows (unique to this bow in-game) were also designed and cast to fill out the quiver. 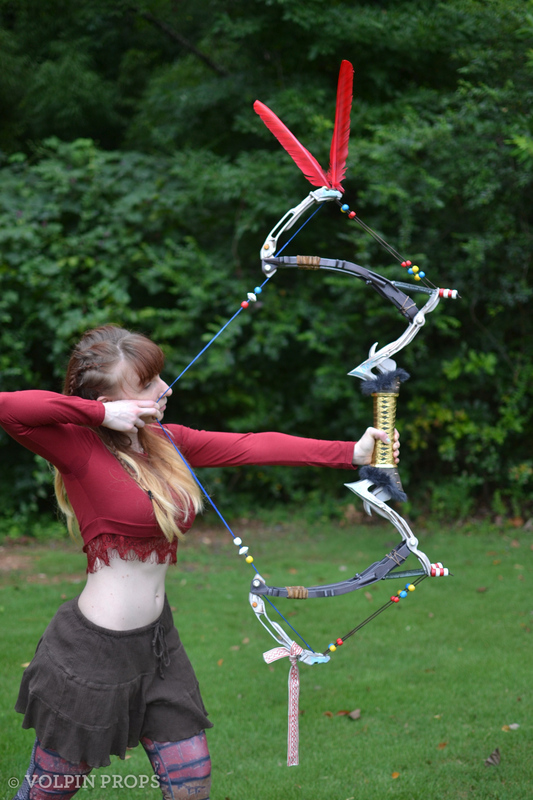 Have a look at the limb articulation right here!